Cutting-edge treatments backed by medical research and attentive service makes medi-spa Freia Aesthetics a fit for discerning individuals. Fresh blooms greet you, a delicate scent wafts through the air and a carefully curated audio soundtrack lulls you into a state of calm. Before long, a menu of various drinks concocted to improve wellness is presented. It is an image far from the often cold, stark-white and minimalist appearance of most medi-spas, but at Freia Aesthetics, such detail, warmth and a personal touch goes into every aspect of your experience. The minutiae doesn’t stop at the reception there, however. The medi-aesthetics spa offers face, hair and body treatments that harness cutting-edge medical innovation and technology. In fact, treatments undergo stringent testing and refinements by spa director Serene Seah and are endorsed by medical director Dr Harold Ma before they make it to the treatment menu. Only advanced skincare backed by medical science, such as Calecim, said to be the gold standard in stem cell extract growth factors, and the SkinCeuticals range born of decades of skin cancer research, are used in the treatments. 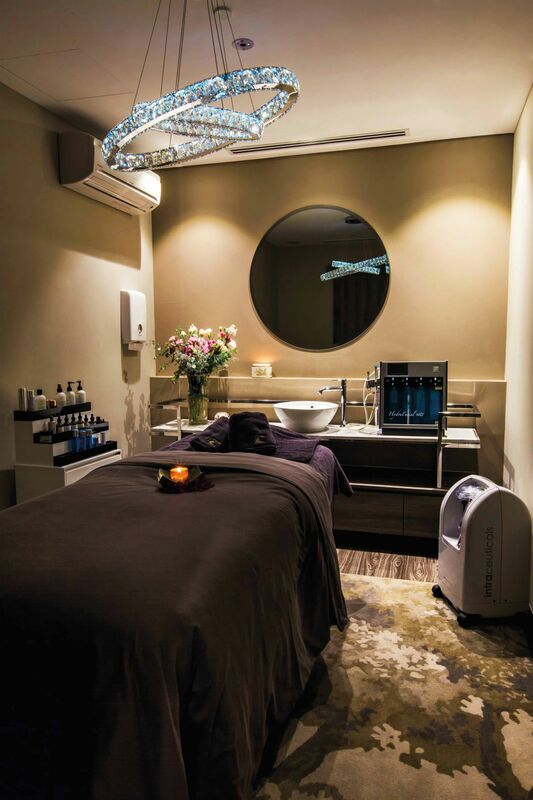 While signature treatments such as the Notox and CellRewind facials are popular, Freia Aesthetics constantly pushes the boundaries of innovation to expand its repertoire of treatments. New additions include the Ocean Breeze Facial that channels the healing powers of the ocean into a treatment that hydrates the skin, boosts cell renewal and leaves skin supple, as well as the Luminosity Facial, a nine-step treatment for radiant skin. It’s no wonder the medi-spa has a loyal clientele of both men and women. Not merely focused on one particular market segment or age group, Freia Aesthetics helps women at every stage of their lives to look their best, journeying with clients through their changing skin needs, from teenager to pre-wedding, pre-pregnancy, pregnancy, post-pregnancy and menopause.